AUPO: Photographs of the AUPO Agitation at Jantar Mantar , Akashvani Bhawan and Meeting with CEO at Prasar Bharati building. 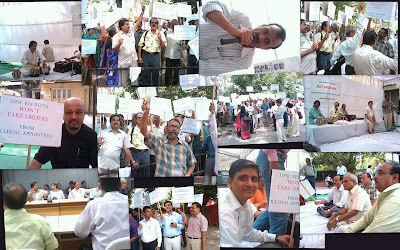 Photographs of the AUPO Agitation at Jantar Mantar , Akashvani Bhawan and Meeting with CEO at Prasar Bharati building. RTI Scam News on Deccan Herald !!! !